5-Emily Grace Harris was born on 16 May 1858 in Launceston and died on 13 Oct 1939 in Malvern, Victoria at age 81. Emily married Warwick Edgar Wettenhall, son of Captain RN Robert Wettenhall and Mary Burgess Bussell, on 14 Mar 1883 in St Andrew's Church, Westbury. Warwick was born on 12 Mar 1848 in Launceston and died on 14 Apr 1905 in Launceston at age 57. The service was conducted by her first cousin, once removed, the Reverend William Wallace Fullarton Murray. Reverend Thomas Wettenhall was born on 26 Sep 1708 in Nantwich, Cheshire, England and died in 1776 in Nantwich, Cheshire, England at age 68. Thomas married Anna Maria Lancaster. They had a son: Peter. Peter Wettenhall was born in 1755 in Ravenscroft, Wettenhall, Cheshire, England and died in 1814 in England at age 59. Peter married Frances Ravenscroft. Frances was born on 6 Jul 1865 in Leftwich, Cheshire, England. They had a son: Robert Horatio. Captain RN Robert Horatio Wettenhall was born on 18 Aug 1793 in Ravenscroft, Wettenhall, Cheshire, England and died on 6 Jul 1877 in Warranooke, Stawell, Victoria at age 83. Robert married Mary Burgess Bussell in 1827. Mary was born on 25 Feb 1809 in Cornwall, England and died on 13 Aug 1896 in Fitzroy, Victoria at age 87. They had nine children. The Wettenhall family emigrated from impoverished conditions to much of the same. Subsequent generations have produced members of the armed forces including those who died for their country as well as politicians (Victoria and Queensland), pioneering sheep breeders (Polworths, Corriedales and Merinos), innovators in medicine and medical research, accountants, philanthropists, police officers, sports men and women, transport operators, aviators and many other occupations. Robert Wettenhall, born 1793, entered the Royal Navy in 1810 and during the next 20 years served on 12 vessels until being laid off as a Lieutenant as part of the peace time reduction in the Royal Navy. He secured a position as a Chief Officer in the Coast Guard in 1832 but by 1835 he left to emigrate to Van Diemen's Land. The economic malaise and poverty in England drove them to seek a better life. Robert and Mary Burgess Wettenhall, nee Bussell, and their 2 children, Mary Frances and Allan Ravenscroft arrived in Hobart on 10 Dec 1835; having left Gravesend on 8 Aug 1835 in company with Capt. Edward Tregurtha and Elizabeth Tregurtha, Mary's sister, on the 262 ton "Derwent", the Wettenhalls eventually settled near Sorell on the Carlton River south east of Hobart. Despite the economic difficulties for farming and the Colony in general, they farmed the Sorell property for around 9 years. During this period a further 5 children were born – Editha Caroline (1836), Edwy (1838), Holford Highlord (1840) and Llewellyn (1843). In June 1846, the family left Hobart to take up a lighthouse keeper position on Swan Island, N W Tasmania. This position lasted for 6 months until Robert was attacked by a ticket-of-leave worker. Over the next few years the family lived from hand to mouth as Robert ventured over the Bass' Strait to the Port Phillip District (1849) and to San Francisco, California (1850). Further, 2 more children were born, Bertha Bulkeley (1847) and Warwick Edgar (1848). Robert was appointed a Deputy Harbour Master in Launceston in 1852 but promptly resigned and 1853 saw him splitting timber. Robert and Mary struggled for the rest of their lives and lived variously with extended family and their children. Robert died in 1877 to be buried at Pleasant Creek (now Stawell) cemetery in Victoria; Mary died in 1896 and is buried next to Robert. “From Sea and Soil: the story of Robert and Mary Wettenhall from whom the Australian family is descended" ISBN: 0958896208, a book by Roland Wettenhall. Manuscript at Australian Maritime Museum - Diary of light-keeper on Swan Island, Banks Strait, Tasmania 1846-47 by Robert Wettenhall. A report on the incident that caused Robert to leave Swan Island. It can be found in: The Australian Journal, July 10, 1847. It says of Robert: "Lieutenant Robert Wettenhall, R. N., is an Officer of considerable literary and professional acquirements, a gentleman whose worth is well known to and deservedly esteemed by us". Emily Grace and Warwick Edgar had six children: Aileen Martha Murray, Mavoureen, Kathleen Mary, D'arcy Hamlyn, Warwick Edgar and Vernon Lawrence Highlord. 6-Aileen Martha Murray Wettenhall was born on 19 Dec 1883 in Warranooke Station, Lubeck, Victoria and died on 1 Oct 1974 in Yarrawonga, Victoria at age 90. Aileen married Owens McAlister Howden, son of John McAlister Howden and Charlotte Harriet Lyell, on 27 Apr 1912 in Melbourne, Victoria. Owens was born on 21 Jan 1887 in Brighton Beach, Victoria and died on 21 May 1966 in Yarrawonga, Victoria at age 79. They had three children: Owens McAlister, Ian Murray McAllister and Heather McAllister. 7-Owens McAlister Howden was born on 27 Feb 1913 in Richmond, Victoria and died in 1943 in Canberra, Australian Capital Territory at age 30. Another name for Owens was Bill. Owens served in the RAAF in World War 2, enlisting on 20 June 141 at Melbourne, 8 Squadron. Owens married Ina Ellen Nelson in 1940 in Victoria. They had one son: Adrian. 7-Ian Murray McAlister Howden was born in 1914 in Richmond, Victoria. 7-Heather McAlister Howden was born in 1917 in Richmond, Victoria. Heather married Stanley Frank Ian Warren in 1939 in Victoria. 6-Mavourneen Wettenhall was born on 25 Jun 1885 in Stawell, Glenorchy, Victoria and died on 5 Oct 1967 in Malvern, Victoria at age 82. Mavourneen married Professor Edward John Nanson, son of John Nanson and Isabella Bowman, on 10 Mar 1913 in Cairus Presbyterian Church, East Melbourne, Victoria. Edward was born on 13 Dec 1850 in Penrith, Cumberland, England and died on 1 Jul 1936 in Glen Iris, Melbourne at age 85. They had four children: Joan Wettenhall, one son: Harley Wettenhall, Sheila Wettenhall and Nona Wettenhall. .
7-Joan Wettenhall Nanson was born in 1914 in Richmond, Victoria. 7-Harley Wettenhall Nanson was born in 1918 in Richmond, Victoria about 1983 and died in 1983 in Geelong, Victoria at age 65. 7-Sheila Wettenhall Nanson was born in 1918 in Richmond, Victoria. 7-Nona Wettenhall Nanson was born in 1919 in Richmond, Victoria. Nona married Stanley Lloyd George Graham in 1942 in Victoria. 6-Kathleen Mary Wettenhall was born on 31 Aug 1891 in Westbury, Tasmania and died on 22 Feb 1948 in Nagambie, Victoria at age 56. Kathleen married Stanley St Leger Perrins, son of James Bishop Perrins and Eliza Sisson, on 4 Mar 1914 in East Melbourne, Victoria. Stanley was born on 8 Jun 1888 in South Melbourne and died on 17 Jan 1964 in Rye, Victoria at age 75. James Bishop Perrins, of Fitzgerald and Perrins, Castlemaine Brewery, Melbourne, the second son of James Perrins, M.D., of 'Cheltenham, England, was born there in 1832 and educated at Stourbridge, Worcestershire. He was apprenticed to a draper for three years, but in 1852 was attracted by the news of the goldfield discoveries in Australia, and left London in May of that year by the ship Zemittdar, and after a long passage arrived at Sydney. There he made up a party to proceed to the Victorian goldfields, starting November, 1852. After eight or nine months at gold-mining and not meeting with sufficient success to encourage them to persevere, the party broke up. After saving some money from working he joined another friend, and went into the wine and spirit business in Castlemaine, in 1854 . The business there was fairly successful but relations with his partner were not so he separated from him, and worked for Fitzgerald's Castlemaine Brewery until 1863, when he was admitted as a partner and went to Daylesford during the excitement of the gold rush, and conducted the branch business established there. 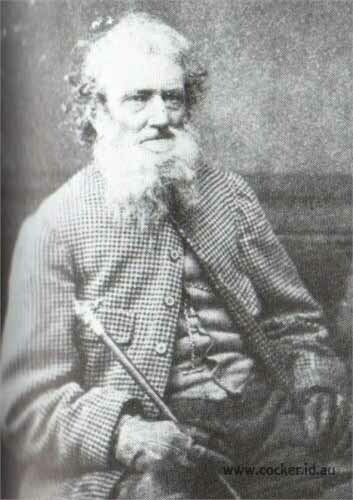 He was elected a member of the borough council in about 1867. After remaining there for some years he went to Melbourne, and helped to initiate the Melbourne Castlemaine Brewery at Emerald Hill, and establish and extend the business in Melbourne in 187I. 6-D'arcy Hamlyn Wettenhall was born on 29 Oct 1892 in Westbury, Tasmania and died on 13 Apr 1969 in Jerilderie, NSW at age 76. D'arcy served in Word War 1. He married Rose Ellen Seymour on 24 Dec 1921 in Longreach, Queensland. Rose was born on 19 Sep 1891 and died on 19 Mar 1986 at age 94. They had one son: Warwick D'Arcy. 7-Warwick D'Arcy Wettenhall was born on 22 Aug 1928 in Townsville, Queensland. Warwick married Sheila Mitchell Macdonald, daughter of Alan Elliot McDonald and Unknown, on 21 Jan 1965 in East Malvern, Victoria. They had two children: Angus Warwick and Carolyn Ellen. 8-Angus Warwick Wettenhall was born on 29 Jun 1968 in Melbourne, Victoria. 8-Carolyn Ellen Wettenhall was born in Melbourne, Victoria. 6-Warwick Edgar Wettenhall was born in 1897 in Glenorchy, Victoria and died on 8 May 1973 at age 76. Warwick married Lillian Emily Wright on 1 May 1916 in Queensland. Lillian was born on 8 Jul 1896 in Queensland and died on 28 Sep 1962 in Queensland at age 66. 6-Vernon Lawrence Highlord Wettenhall was born on 25 Feb 1900 in Hobart, Tasmania and died on 23 Jul 1963 in Brisbane, Queensland at age 63. Vernon married Mabel Agnes Barnes on 23 Aug 1933 in St Paul's Church, Winton, Queensland. They had two children: Roger Edgar Vernon and John Warwick. 7-Roger Edgar Vernon Wettenhall was born on 16 May 1937 in Melbourne, Victoria. Roger married Una Elizabeth Oats, daughter of Irwin Leonard Oats and Unknown, on 21 Oct 1965 in Sydney, New South Wales. They had two children: Lisa Jane and John Warwick. 8-John Warwick Wettenhall was born on 24 Feb 1939 in Melbourne, Victoria. 7-John Warwick Wettenhall was born on 24 Feb 1939. John married Prudence Parkinson, daughter of Donald Parkinson, on 19 Feb 1967 in Southport, Queensland. Prudence was born on 22 Jul 1944. They had two children: Heidi Min, Wylie and Kim Elizabeth. 8-Heid Min Wettenhall was born in Brisbane, Queensland.